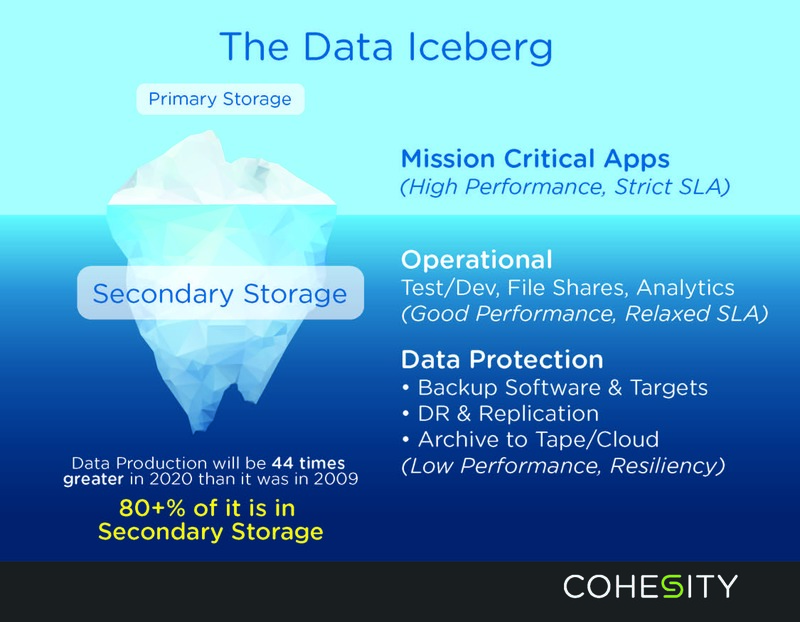 Cohesity, a startup founded by ex-Googler and former Nutanix CTO Mohit Aron, wants to change how enterprises think about secondary storage — that is, the kind of data storage that supports non-critical applications like analytics or provides backup solutions for critical services. After years of development, the company came out of stealth today. Cohesity also announced that it has already raised $70 million through a $15 million Series A round led by Sequoia that closed in 2013 and another $55 million in a Series B round led by ARTIS Ventures and Qualcomm Ventures, with participation from the likes of Accel Partners, Battery Ventures, Google Ventures and Trinity Ventures. This last round closed this May. Aron previously worked on Google’s global file system and he is bringing a lot of what he and the staff he has recruited from the likes of Google, VMware and Netflix learned about building giant file storage services to his startup. The company’s platform runs on a $100,000 appliance with massive amounts of compute and storage capacity (think a four-node server with 96 TB of hard-drive storage, combined with 6 TB of flash storage). Cohesity’s “in” with companies is that it first sells them a backup solution with the company’s smart dedupe algorithms to simplify data protection. Then, it can also help a business’ DevOps teams by giving them easy and centralized access to live data on its platform and, finally, help them mine all of this data with its in-place analytics service. Aron argues Cohesity will be significantly cheaper and easier to manage than any competing solution.